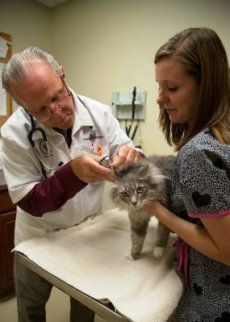 Laughery Valley Veterinary Hospital is a full-service veterinary medical facility located near Versailles, IN in Ripley County. Our address does not work properly with GPS. We are cat friendly! 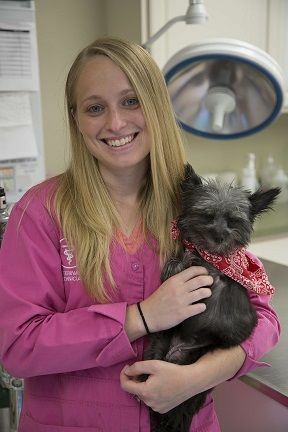 The professional and courteous staff at Laughery Valley Veterinary Hospital seek to provide the best possible medical care, surgical care and dental care for our highly-valued small animal patients. We are committed to promoting responsible pet ownership, preventative health care and health-related educational opportunities for our clients. We also offer emergency and preventative services. Laughery Valley Veterinary Hospital strives to offer excellence in veterinary care to southeast Indiana. Please take a moment to contact us today, to learn more about our veterinary practice and to find our more information about how Laughery Valley Veterinary Hospital can serve the needs of you and your cherished pet. To provide comprehensive medical and surgical services to our patients while respecting and promoting the special bond between our clients and their pets. Dr. Robinson graduated from Dillsboro High School and received a B.A. from Indiana Central College in 1974 before attending Purdue University College of Veterinary Medicine (1979). When at work he enjoys interacting with clients and helping their pets live happier, healthier lives. He and his wife, Jascia, have five children and 5 grandchildren. They are empty-nesters but are entertained at home by their dogs, Max and Mama. 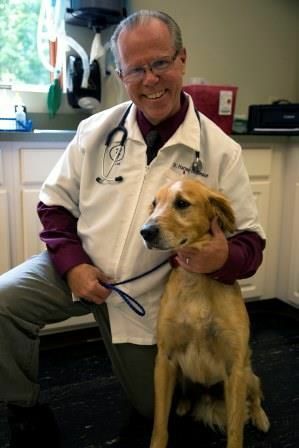 Dr. Robinson pursues other passions beyond veterinary medicine. He is on the boards of several scholarship and public health organizations. Being involved in your community and the giving of your time and talent is something Dr. Robinson recommends to everyone, because each person is valuable and has something to contribute. The Indiana Veterinary Medical Association recently recognized Dr. Robinson with the 2019 Lifetime Achievement Award for his contributions to the profession. Dr. Yatsko graduated from Milan High School in 2006. She then attended and received a B.S from the University of Findlay. 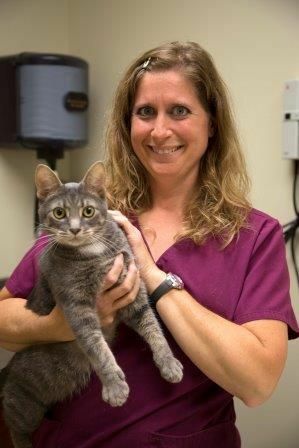 Dr. Yatsko is a graduate of Purdue University’s School of Veterinary Medicine class of 2015. She and her husband, Josh, have one daughter. When not working Dr. Yatsko enjoys spending time with her family, hiking, reading, and gardening. 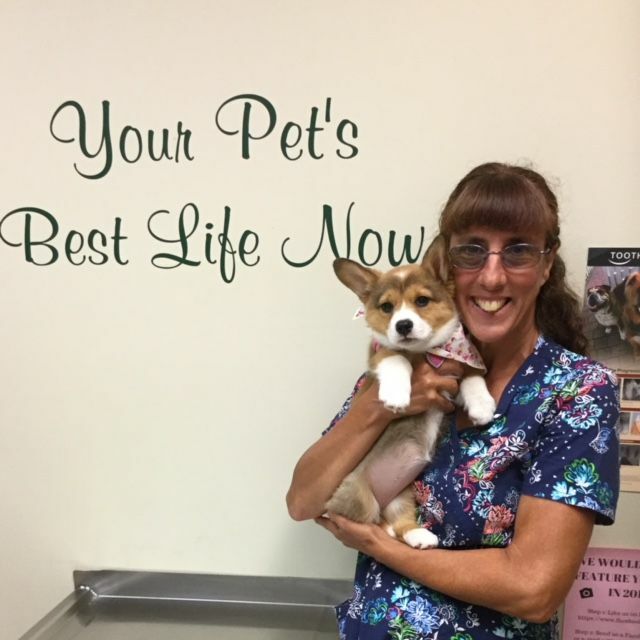 Tammy has been a member of the Laughery Valley Veterinary team since 1992. She received her Associate of Applied Science degree from the University of Cincinnati in 1999. 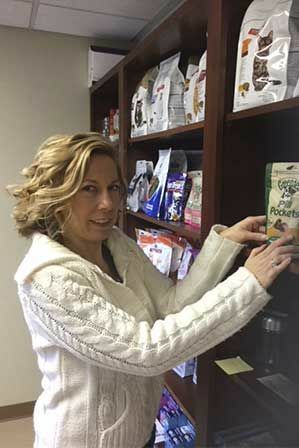 She is our hospital manager and works as a registered veterinary technician. Tammy and her husband, Duane have one daughter, Emily. They have 2 cats and 3 horses. She enjoys reading, cooking and outdoor activities. Ginger has been working at Laughery Valley since 2006. She graduated from Batesville High School in 1991 and Purdue University in 1995. She is known as the “green” person here at the hospital due to her passion to Reduce, Reuse and Recycle. She initiated our recycling program. Ginger enjoys spending time with her husband and son. Jan has been an LVVH team member since 2011. She grew up on the west side of Cincinnati and attended Mother of Mercy High School. 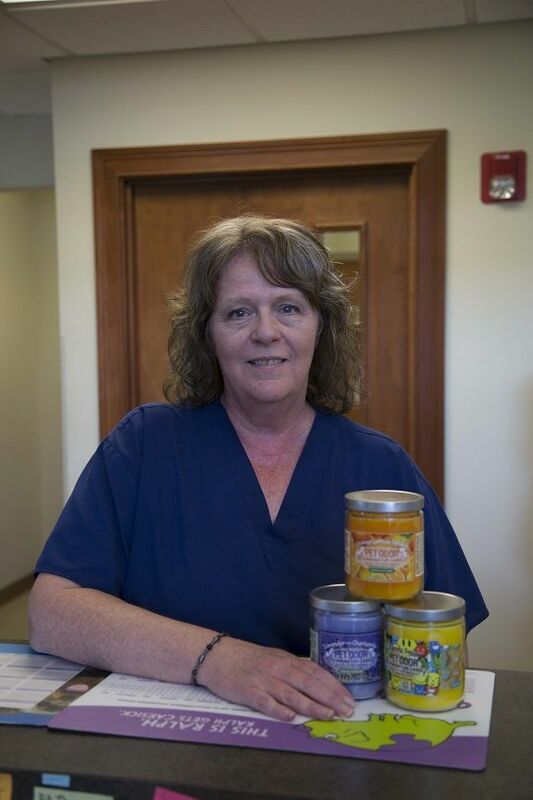 Jan worked at an animal hospital for 17 years in Pennsylvania while raising her family. She enjoys singing and playing guitar, loves cats and movies, and spending time with her daughter, Lynsey. At LVVH, she works at the front desk and handles accounts receivable. Jessica has been a member of the LVVH team since 2007. She attended the Vet Tech Institute at International Business College and graduated in 2009 with an associates degree of applied science. She married her husband Dan in 2015 and has a step son Dillan and step daughter LJ. They also have three dogs Max, Peanut, and Milly. At the clinic Jessica maintains all lab equipment and is the surgery tech. Outside of the clinic she enjoys helping her husband as a pre-teen youth group leader at the Bridge of Hope Worship Center and loves to cook. Emily joined the LVVH team in August 2015. She obtained her associates degree of applied sciences at the Vet Tech Institute at International Business College in Indianapolis. Here at the clinic, she is our out-patient team leader, performs professional dental cleanings, and is our cat advocate. 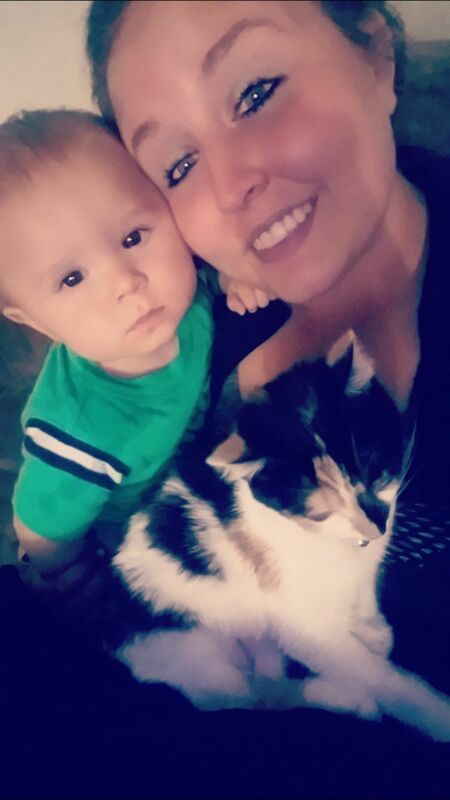 She has two cats of her own, Luna and Jynx that keep her on her toes at home. Emily enjoys outdoor activities and plenty of crafts in her free time. LeeAnna is a part-time assistant here at Laughery Valley. She has been with us since 2011. You can see her working in the front and the back. She graduated from Milan High School in 2013. She graduated from IU East in May 2018 with a Bachelor's Degree in Elementary Education. She teaches at Richard B. Cartmell Elementary School. She enjoys spending her spare time with her family, friends, and animals. She has 4 dogs and 2 cats - Andi, Roxie, Scrappy, Cash, Tito, and Charlie (Cheeto). Kelli has been with our team since 2014. She graduated from South Dearborn High School in 2012. Kelli enjoys hunting and being outdoors. 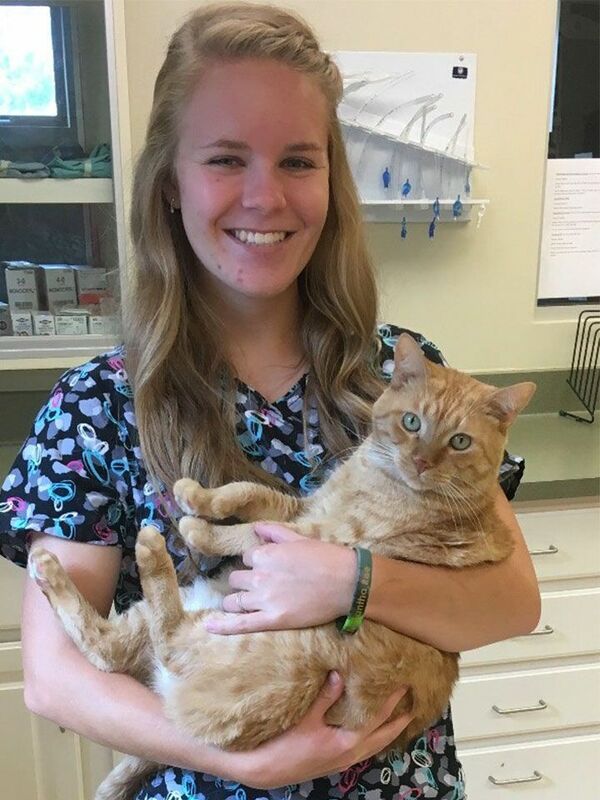 Sammy has worked at LVVH since July 2015 as a veterinary assistant. 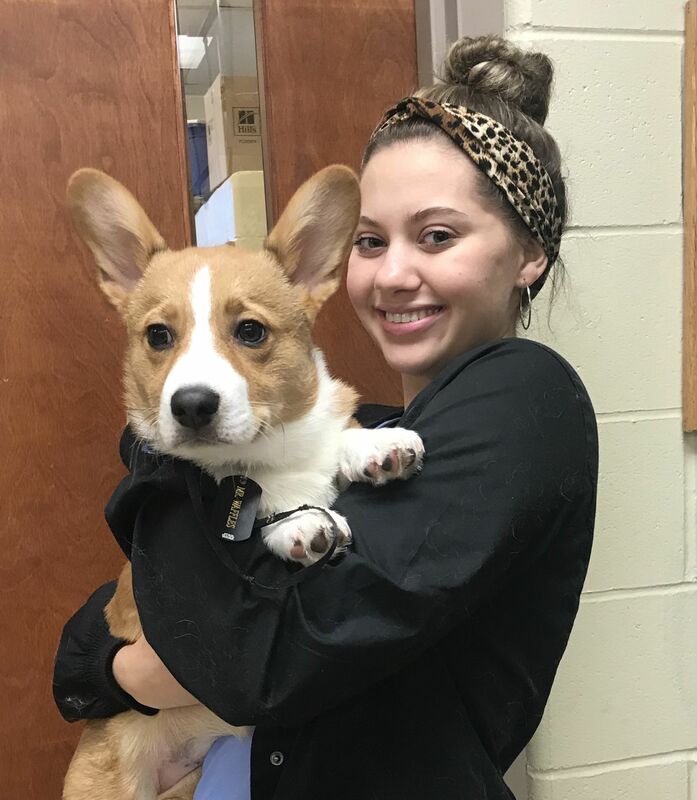 She graduated from South Ripley High School in May 2018 and was active in the FFA Chapter and 4-H. Sammy enjoys spending time with her fiance and being outdoors. She has 1 dog and 3 cats: Sadie, Kitty, Hazel, and Typha. Brooke became a part of the team December 2016. She graduated from South Ripley High School in 2014. Brooke has two dogs of her own named Bella and Kilo. She enjoys spending time with them and her family. Gerri became part of the team in 2018. She is an Amry Vet and is a current Legion member in Morres Hill. She recently married Todd Callahan. Her hobbies are gardening, reading, traveling, and taking care of her chickens. She has 2 dogs - Bella and Scoobi - and 1 cat - Audrina. Her second love is fishing. Megan began working here in January 2019. She is a freshman at The University of Cincinnati. 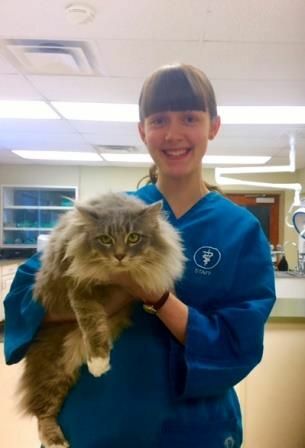 Megan is working hard in school to get into the veterinary technician program at UC. She hopes to learn more about the job and the responsibilites that go along with it to help her prepare for the program. 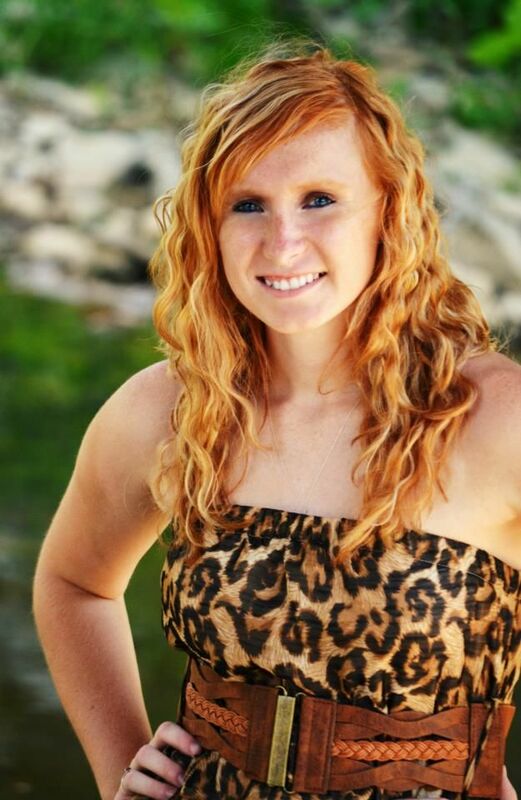 Megan looks forward to furthering her education and career through her experience here at LVVH. 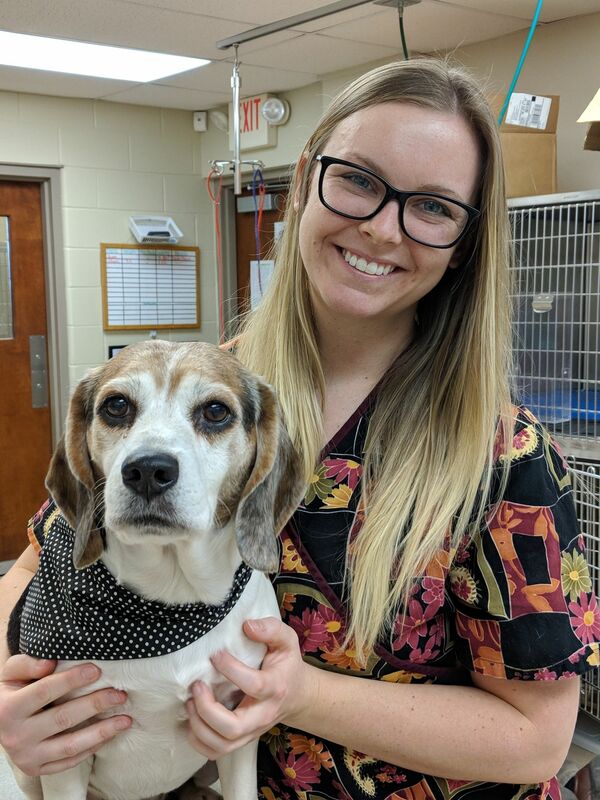 Marie began studying Veterinary Technology at Purdue University in 2016. She has a dog and two cats. She likes music, movies, reading, and spending time with animals and friends. Marie worked with us while finishing high school and may be seen here at LVVH during school breaks. Doc was adopted by us in late 2013. We didn't find him, he found us! As we were walking dogs, he slipped in the door and made himself at home. He was so friendly and lovable, and he ate everything in sight! After much debate, we decided to keep him with us. He is now a beloved member of our staff. He loves breakfast time, dinner time, and his daily treat. He also has a toy cricket that he loves to send flying across the room! He,Carlos, and Lewis entertain us with their daily antics, and we love having him around! 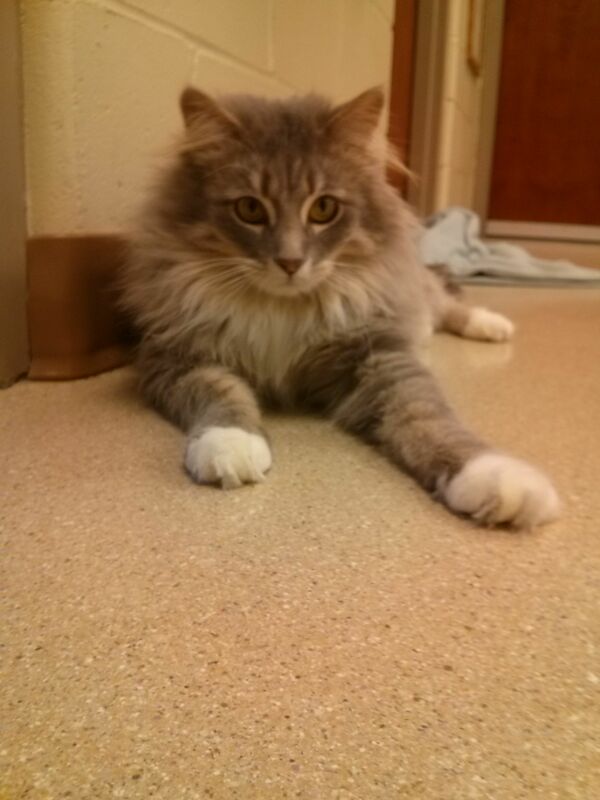 Carlos was adopted by us in December, 2013. He was a stray who was surrendered to us. We considered adopting him out, but every day we grew more attached to him. Eventually, we decided that Doc needed a playmate, and LVVH became his home. Carlos loves cuddles, naps, and sneaking up behind Doc to attack! He's by far our most affectionate cat and is always asking for a little hug. Lewis was adopted by us in November 2014. He is now the trouble maker of the clinic. Lewis loves chasing Doc and Carlos around. 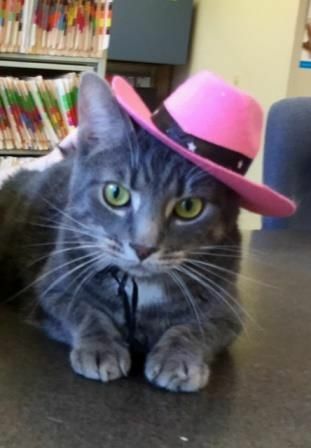 He also loves playing with his toys, parading around in his pink cowboy hat, and hiding in boxes. If he's not within eyesight, he's probably up to mischief! He isn't the most cuddly cat, but when he wants love, he'll let you know.